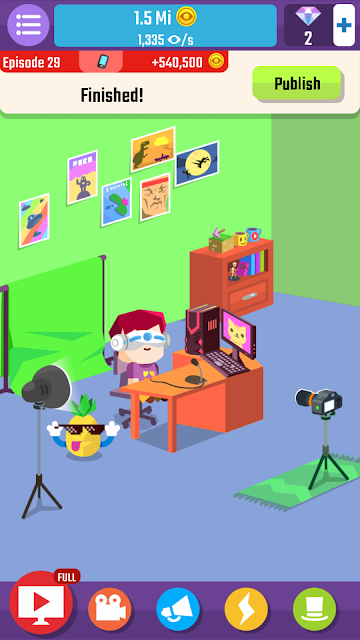 Vlogger Go Viral is a game by Tapps Games about a kid (you) who wants to be a famous vlogger (a professional video blogger). 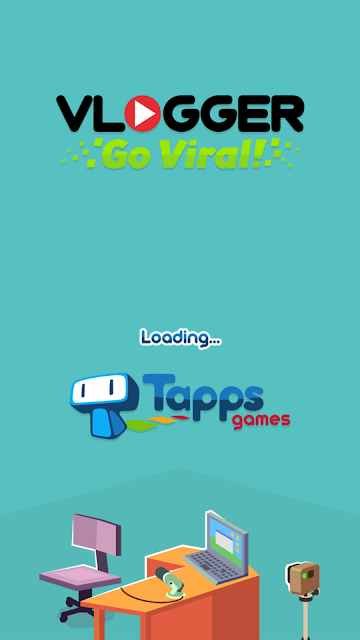 It is free to download on the Google Play Store and the iTunes App Store. In your room, you can buy new upgrades, like a better computer, or a talking pineapple. Each upgrade adds more views/money to the profit of each video. 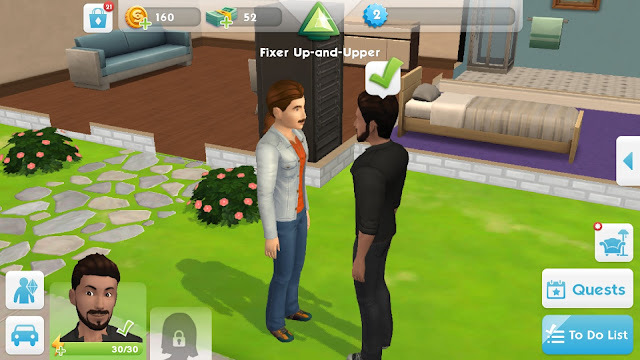 Also, you can get upgrades to increase the amount of cash you earn each second. 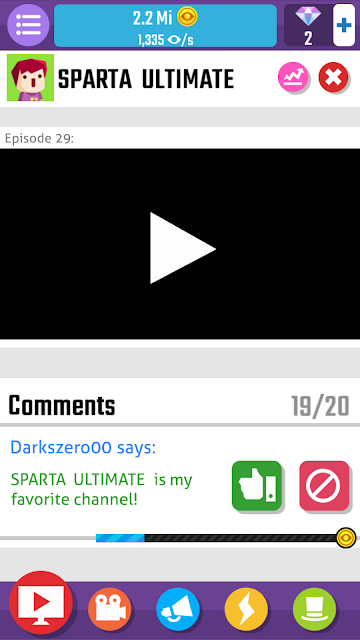 On your channel, you can read the comments, see the recommendations, let the fans through, and banish the haters. When the bar fills, you get a cash bonus! 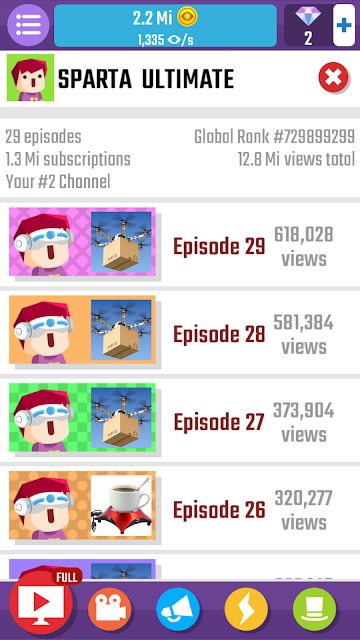 On your channel stats page you can see how many episodes you have made, how many subscribers you have, and how many total views. My favorite upgrade is the Pug. He is super cute and randomly pops up during your video, like the pineapple. I would recommend this game for ages 5 and up. what's the point of creating a new channel. Why reset everything? what is the reason and the benefits? The reason is you get 30 gems for upgrades and a 10% coin boost forever.